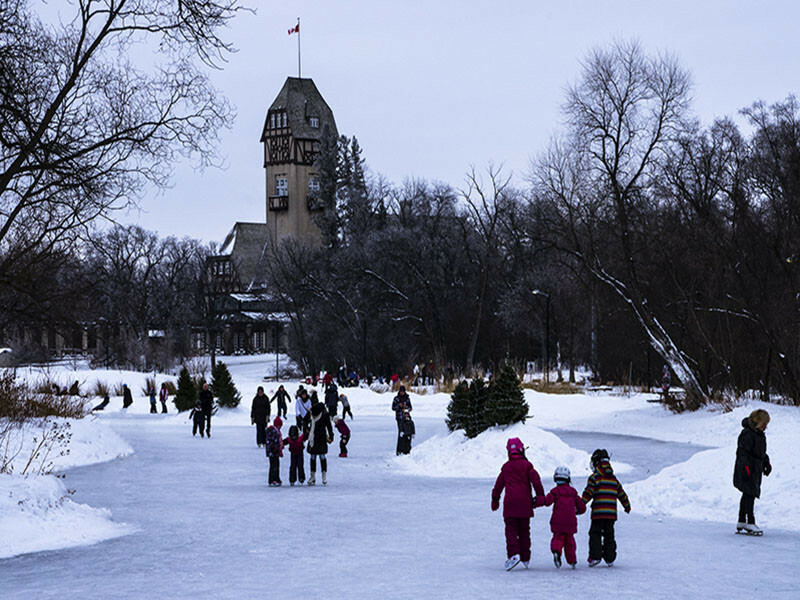 Established in 1904, this year-round playground is one of Winnipeg’s finest attractions. 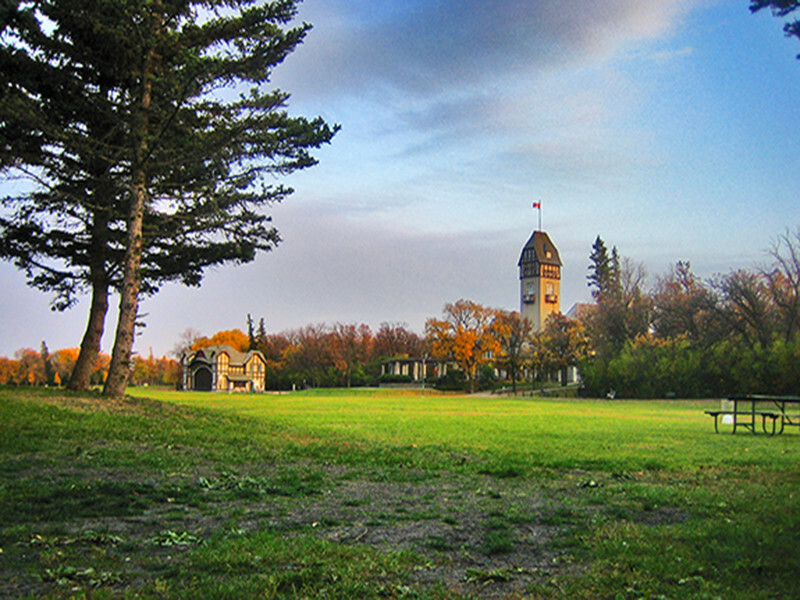 Explore the animal kingdom at the Assiniboine Park Zoo; bask in exotic florals at the Conservatory and English Garden; discover the miniature train and Nature Playground for kids; admire art in the Leo Mol Sculpture Garden and Pavilion; delight in the concerts and special events; rent a tandem bicycle; traipse the fitness trails; and picnic and barbecue in the wide-open green spaces. 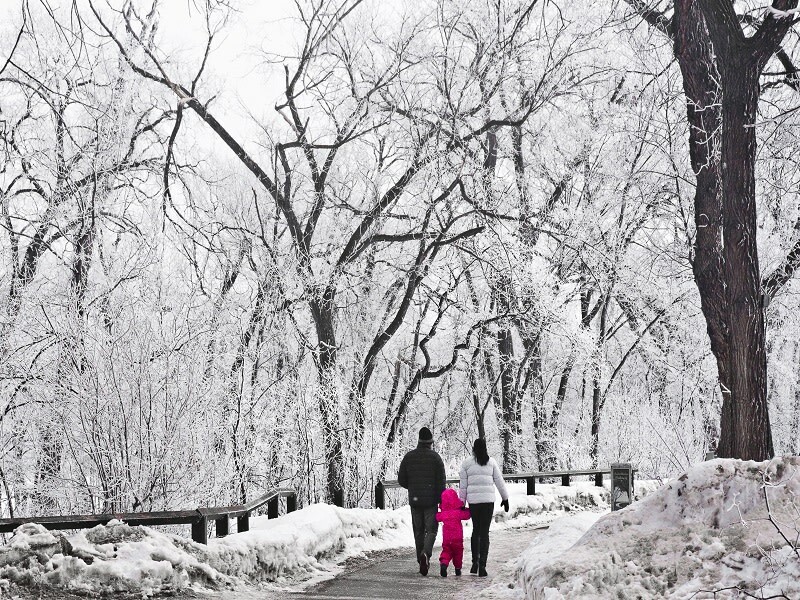 In winter, cross-country ski, skate and toboggan at sites throughout the park. A dramatic transformation has established the zoo as one of the leaders in its field and a great place for exploration and family fun in every season. 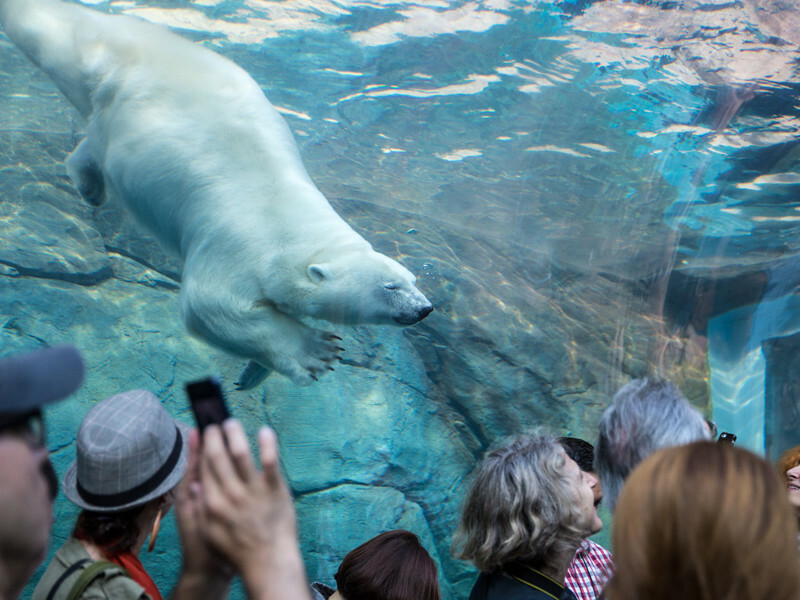 Journey to Churchill, the zoo’s award-winning northern species exhibit, brings you nearly nose to nose with playful polar bears, seals and other Arctic animals. 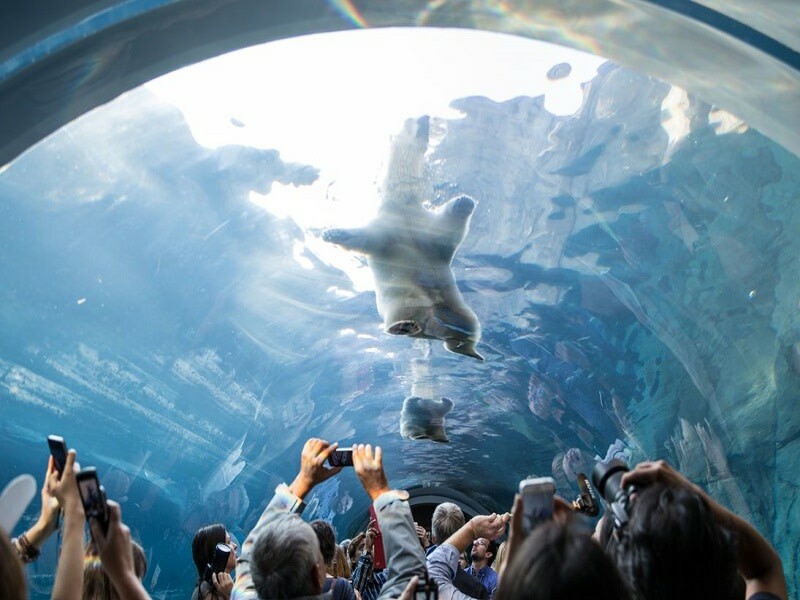 Highlights of the exhibit include the Sea Ice Passage — underwater tunnels that offer incredible views of swimming polar bears and seals, the Tundra Grill — a casual restaurant that overlooks the largest polar bear enclosure, and the indoor Polar Playground. 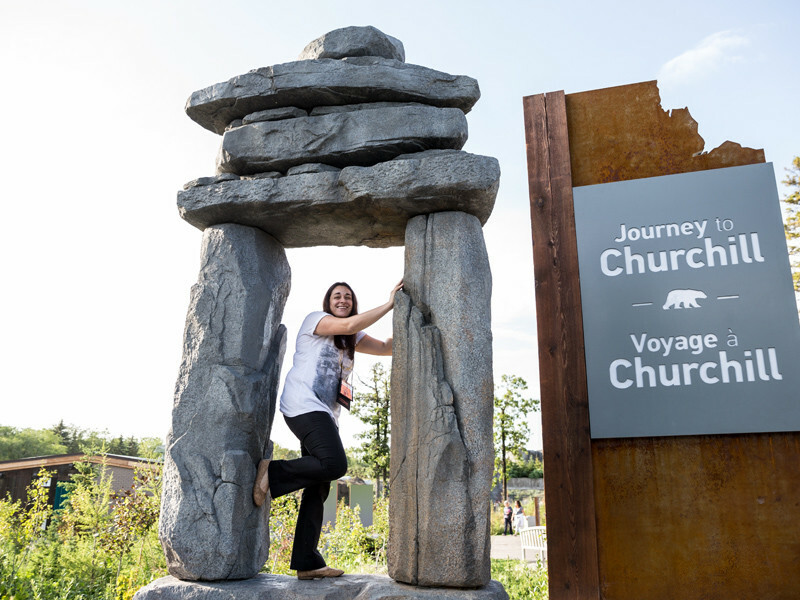 Book a Journey to Churchill: Discover the Magic of the North in the Heart of Continent tour, A Destination Canada Signature Experience that takes you on an exclusive, once in a lifetime tour of the 10 acre exhibit. And there’s more to do at the Zoo! With over 80 park like acres to explore, the zoo provides visitors with the opportunity to interact with close to 200 animal species from all corners of the globe. Explore Toucan Ridge, an indoor tropical oasis featuring plants and animals from South and Central America. Visit the Kinsmen Discovery Centre, a fantastic exhibit featuring amphibians, snakes, fish, bats and curious meerkats. 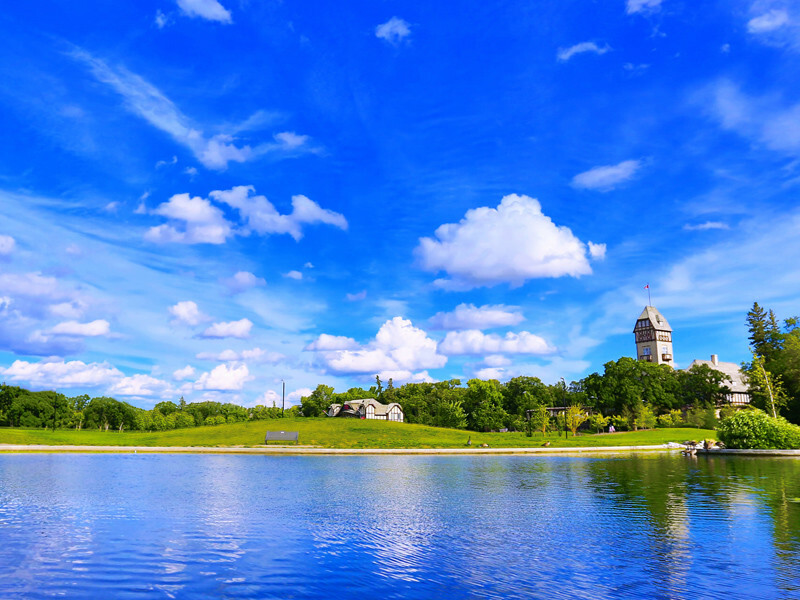 The McFeetors Heavy Horse Centre — home to magnificent Percheron horses — connects visitors with Manitoba’s rural and agricultural roots and offers seasonal wagon and sleigh rides. In summer, visitors can also explore the Shirley Richardson Butterfly Garden and Australian Walkabout. Open daily; Easter to Thanksgiving, 9 a.m. to 5 p.m.; Thanksgiving to Easter, 9 a.m. to 4 p.m. The winding paths and free-form beds of the English Garden are a feast for the senses and provide an approachable view of nature. 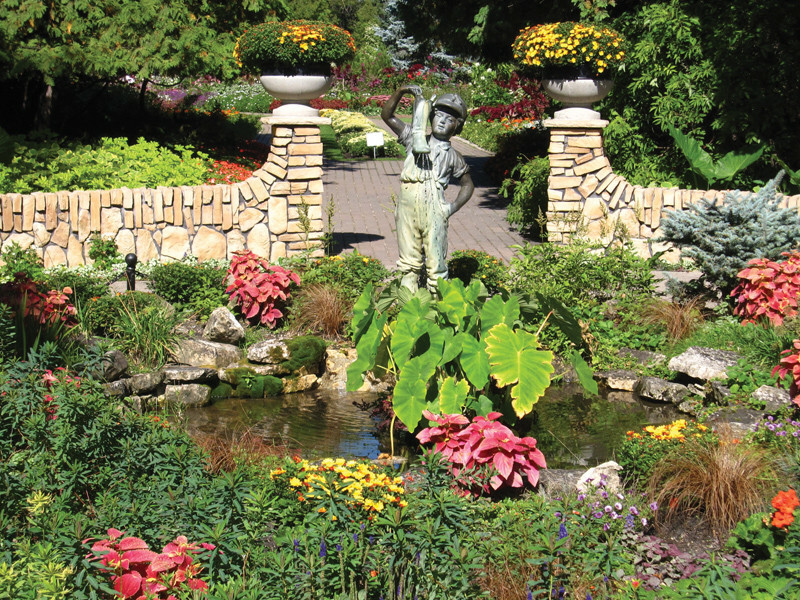 The Boy with the Boot statue and Queen Victoria Monument are located in this colourful floral garden that is open free-of-charge. Located adjacent to the Leo Mol Sculpture Garden. 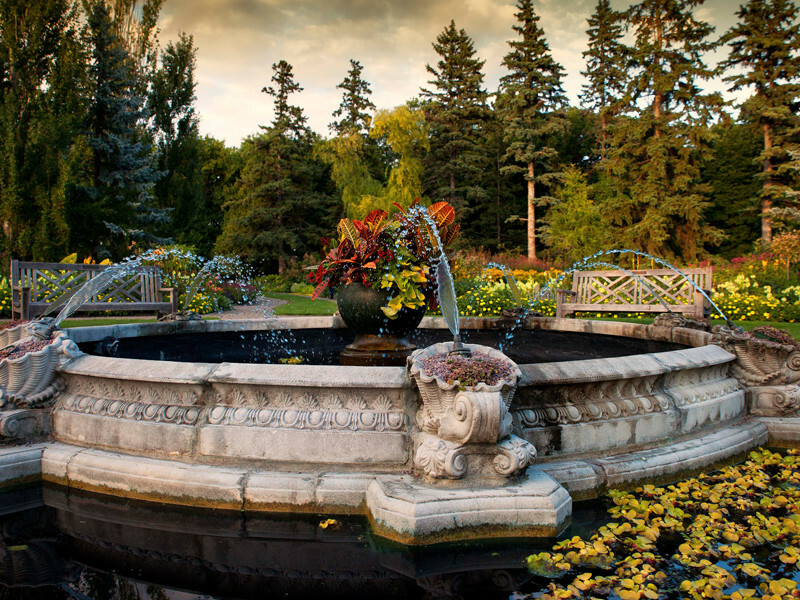 The Leo Mol Sculpture Garden showcases a magnificent collection of bronze sculptures by internationally recognized Ukrainian-Canadian Dr. Leo Mol that is open free-of-charge. It is also the setting for a series of summer jazz concerts. The Leo Mol Gallery houses paintings, ceramics and other artwork, while the Schoolhouse Studio shows a National Film Board video on his works. The Lyric Theatre carries on the tradition of summer band shell entertainment in the park. 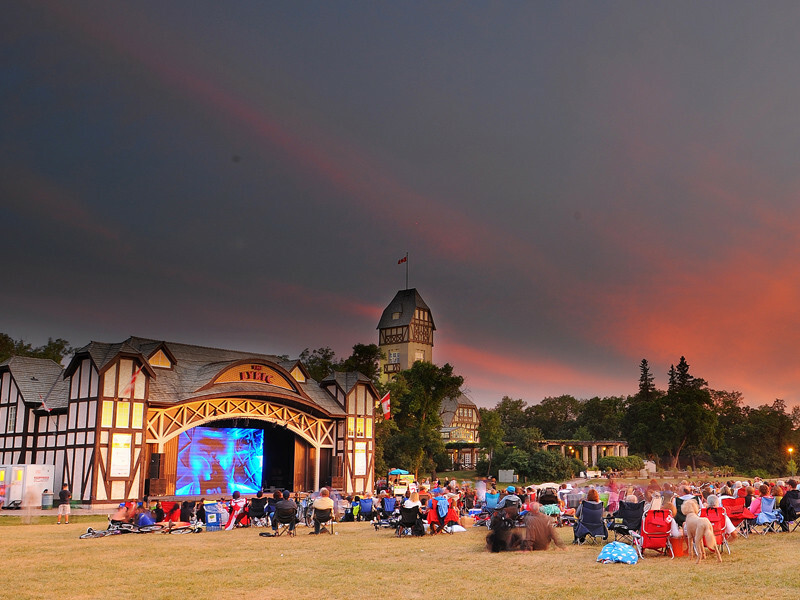 The large outdoor stage features the Summer Entertainment Series with free performances for every taste and age, including jazz, symphony, Ballet in the Park, and the highly popular Movies in the Park. Run, jump, climb, and play! 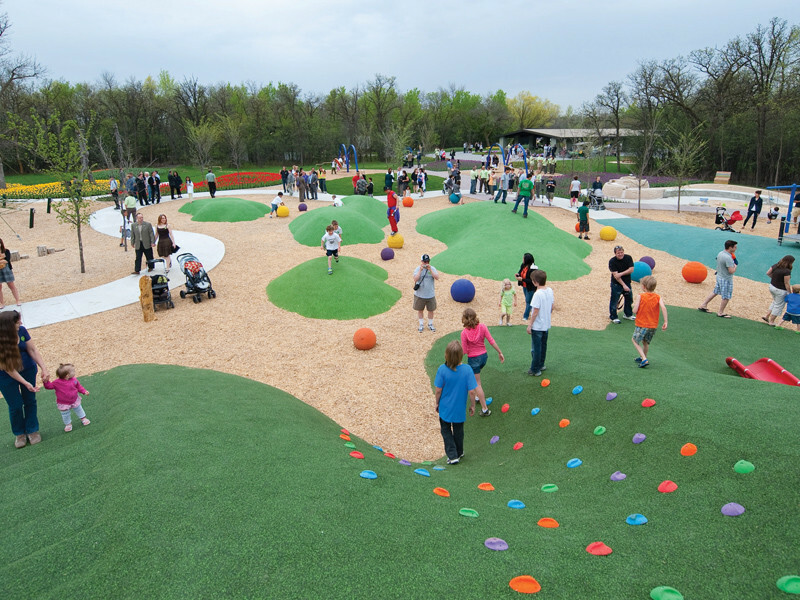 Explore the sand and water play area, slithering slide, sky-high crow’s nest, basket swings, willow tree tunnels, net bridges, and the Streuber Family Children’s Garden — all of which blend into the park’s natural surroundings. 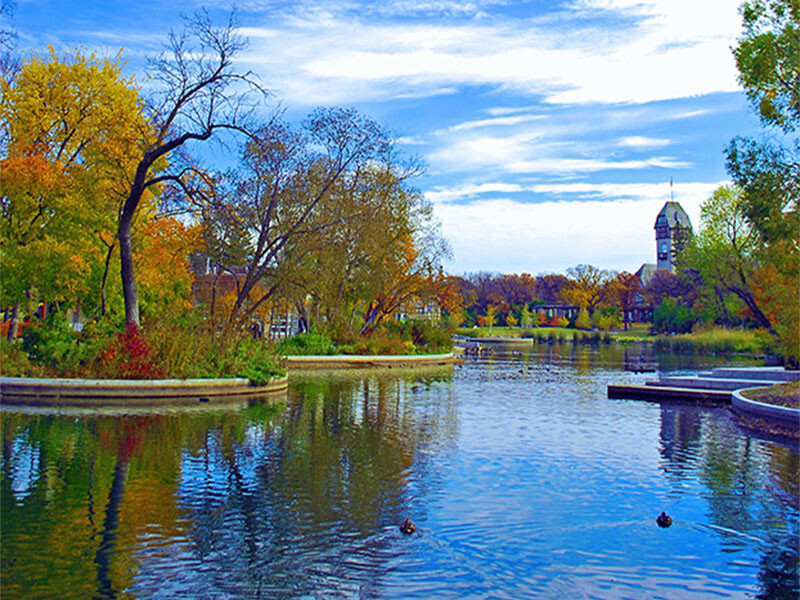 Did you know Winnie the Pooh was named after Winnipeg? The Winnie the Bear statue and plaque, originally unveiled on August 6, 1992, is located here commemorating the story of Lt. Colebourn and Winnie the Bear, the inspiration for the children’s storybook character. The Pavilion houses collections by three renowned Manitoba artists: Ivan Eyre, Clarence Tillenius, and Walter J. Phillips. Through a partnership with the Winnipeg Art Gallery (WAG), visitors enjoy free entry to expertly curated exhibitions drawn from The Pavilion’s collections as well as the WAG’s vast holdings. The Pooh Gallery, located on the second floor, features a rotating selection of Winnie the bear artifacts and memorabilia. Designed to blend in with its natural surroundings, the centre features The Park Café restaurant, open daily from 8 a.m. to 4 p.m. The Riley Family Duck Pond, located in front of the centre, is transformed into an outdoor skating rink in winter with a heated shelter located nearby.